We have a chance of a fairer, better food policy - we need your help. This is a once-in-a-lifetime chance to change the way we support farming for the better with a new Agriculture Act. For too long farm policy has failed to properly support farmers well to protect the environment and wildlife, enhance animal welfare and earn a decent living as part of a strong rural economy. And there has been too little control of unfair supply chains. Your MP needs to hear that you want the new Agriculture Bill – going through parliament now - to support more action on nature and climate change, less chemicals, more healthy food, decent work conditions and a fair deal for farmers and farm workers. We are calling for improvements, described in the draft letter (enter your postcode below to see it). We would encourage you to amend this as personalising letters to MPs does help them take note. 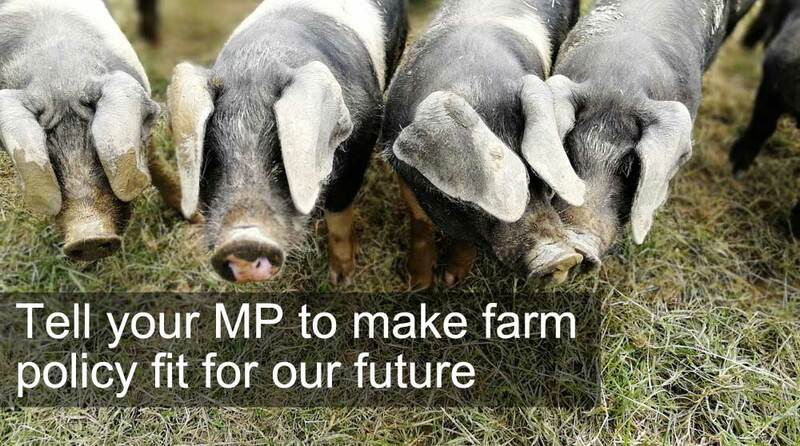 Please take the MP action now for better food and farming. And share it with others. A draft UK Agriculture Bill was introduced to Parliament on 12 September 2018 and had its second reading in Parliament on 10 October. It could become law by April 2019. This is the first major UK legislation on agriculture in 50 years, and the Sustain alliance wants to make the best of this opportunity to influence UK farm policy and practice. This is made especially urgent due to the need for the UK to take decisive action on farm livelihoods, working conditions, public health, animal welfare, biodiversity, environmental protection and climate change. The purpose of new UK agriculture policy should be a prosperous, resilient and sustainable farming system that provides healthy food grown to high standards of animal welfare, environment and nature protection. Farming must be able to provide healthy food, as well as good livelihoods, supported by fair prices and trading practices. Farming must also play its part in significantly reducing antibiotic use, as well as greenhouse gas emissions.